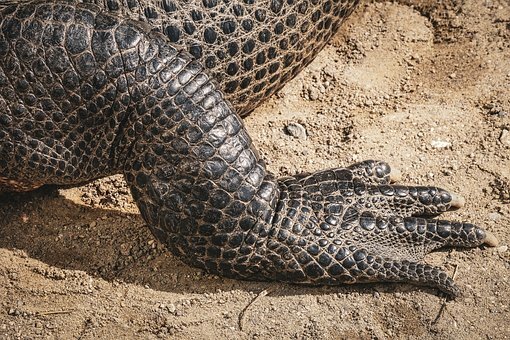 This is a protected Natural Area located two and a half hours from Mexico City. Its name, of Nahuatl origin, can be interpreted as “peanut land”. This grotto is considered to be among the most impressive in the world and open to the public. The Cacahuamilpa Grotto was discovered in 1835 and was opened to the public in 1920 and elevated to the rank of National Park in 1936. Jeita Grotto is located 20 km north of Beirut in the Valley of Nahr al-Kalb. In this cave and galleries, the action of water in the limestone has created cathedral-like vaults full of various sizes, colors and shapes of stalactites and stalagmites, majestic curtains and fantastic rock formations. 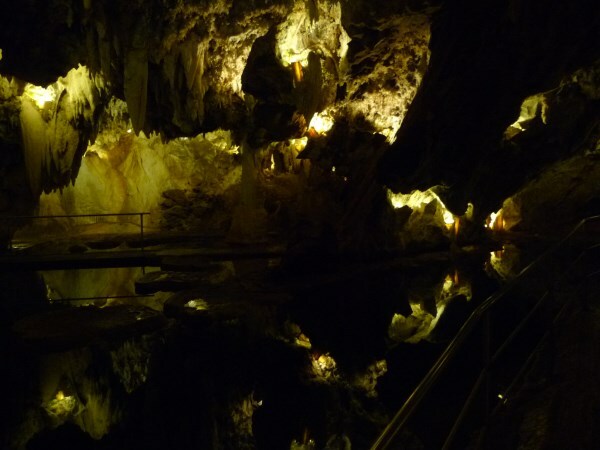 The total length of the cave is more than 9000 m and it is among the biggest stalactites in the world hanging 8,20 m. The grotto accommodates a huge hall with a distance of 108 m from the ceiling till the water level. 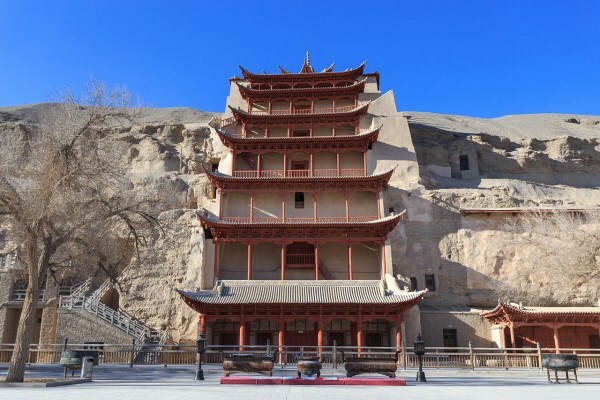 The Mogao Grottoes, commonly named Thousand-Buddha Caves are the most famous grottoes in China. Located 25km southeast of Dunhuang County, these caves are carved out of the sandstone cliffs of Mingsha Mountain. Constructed in 10 dynasties from the fourth to the 14th century, its 45000 square meters of mural paintings and more than 2000 color statues are regarded as the greatest treasure-house of Buddhist art existing in the world. 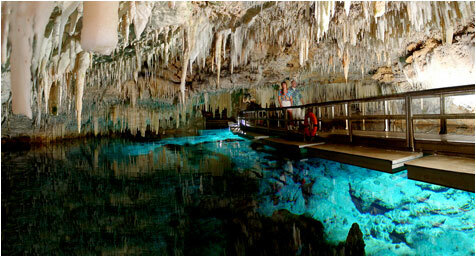 This grotto is located in Huelva, 89km away from Sevilla in Aracena. 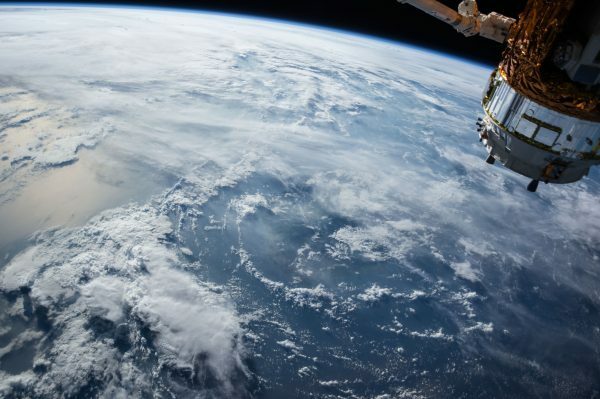 It was discovered in 1886 and opened to the public in 1914. The total lenght of the cave is 2130m, although the public can only visit 1200. The colour of its stalactites and stalagmites, the beauty of its lakes and the size of its caves make this place unique. 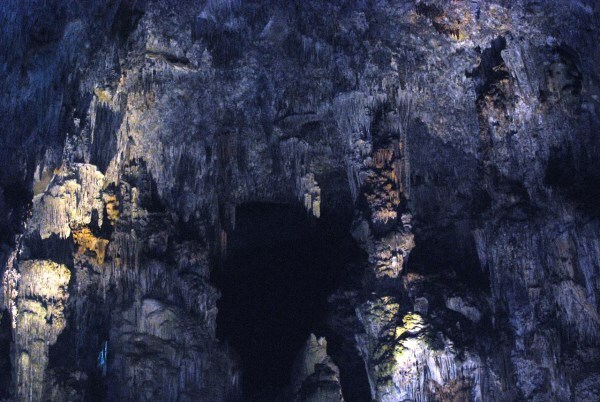 This is Portugal's largest caves system. The underground tour leads down through a series of colourfully lit caverns with some impressive speleothems. The last cavern, 110m below the surface contains a huge lake with artificial waterfalls and dramatic artificial fountains. 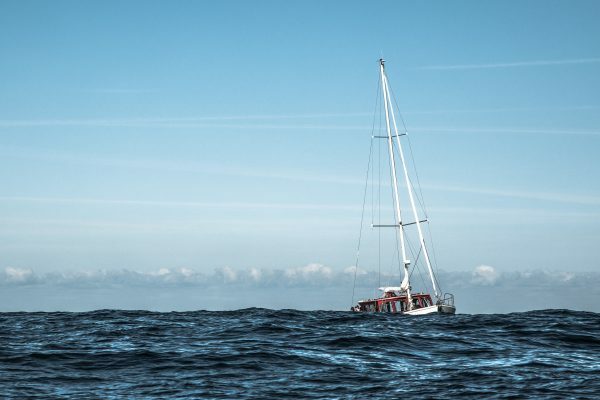 Exit is via a fast elevator to the surface. 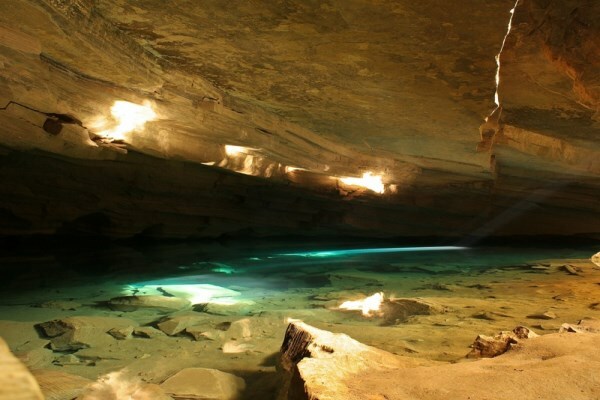 Poço Encantado, or Enchanted Well, is located in the Chapada Diamantina National Park in Bahia state, approximately 400 kilometres inland from Salvador, the capital city of Bahia. This giant sunken pool is 120 feet deep and the water is so transparent the rocks and ancient tree trunks are visible on the bottom. When the sun is just right, light comes through a crevice and creates a blue reflection on the water. Access to this pond is highly controlled for environmental protection of its rare and delicate ecosystem. Buried a thousand feet (300 meters) below Naica mountain in the Chihuahuan Desert, the cave was discovered by two miners in 2000. 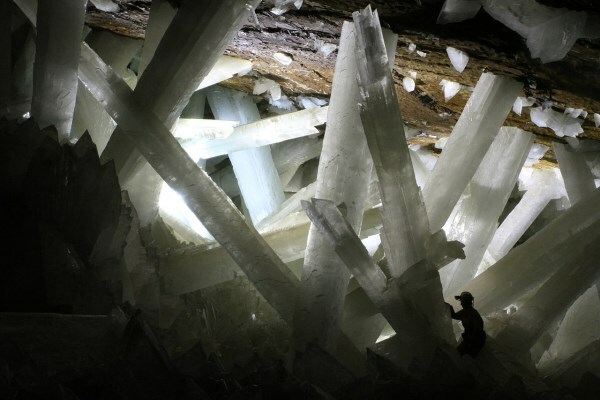 The cave contains some of the largest natural crystals ever found: translucent gypsum beams measuring up to 36 feet (11 meters) long and weighing up to 55 tons. The Blue Lake Cave (Gruta do Lago Azul) has a big variety of geological formation but impresses mainly for the deep blue colored water of its inside lake. The entrance of the cave was discovered by a Terenan Indian in 1924. 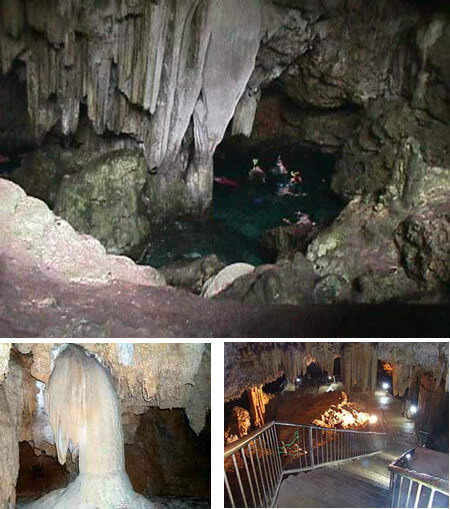 In its interior, after descending 100 meters, it is possible to see the lake of crystal clear water and depth of approximately 70 meters, which makes it one of Earth's biggest flooded caves. 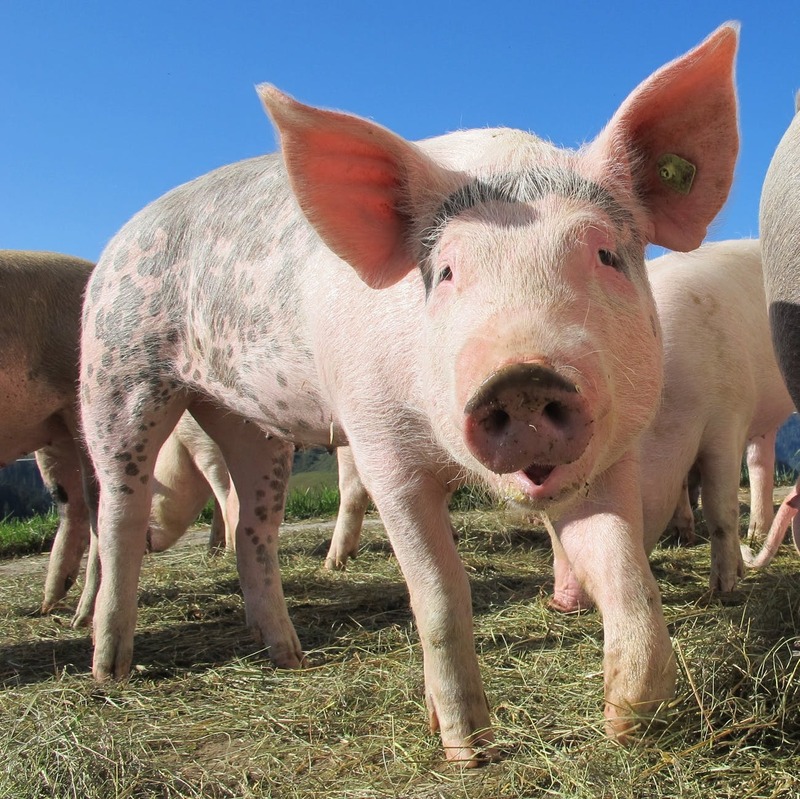 The Bellamar Cave was accidentally discovered 166 years ago in La Alcancía Farm, in the outskirts of Matanzas. 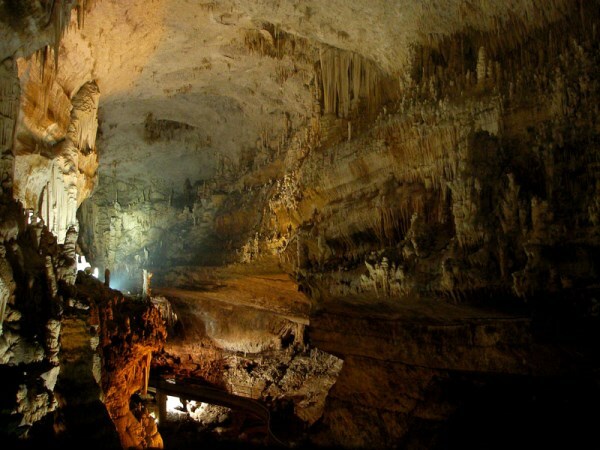 This is one of Cuba's oldest tourist attractions and it's famous for the beauty of its speleothems. 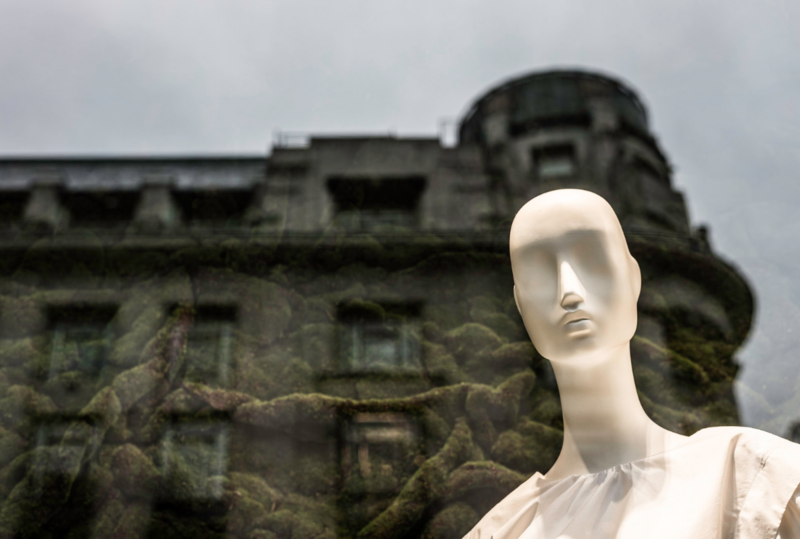 The tour includes six halls and seventeen galleries of incredible beauty, fountains, stalactites and stalagmites, crystallised domes and other formations. 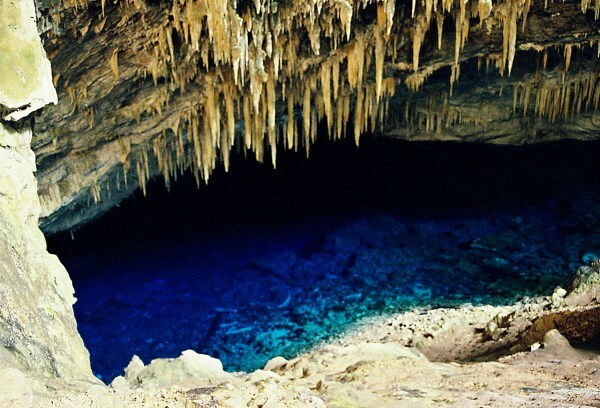 The Crystal Cave is a 55 feet deep blue underground lake found on the island of Bermuda. 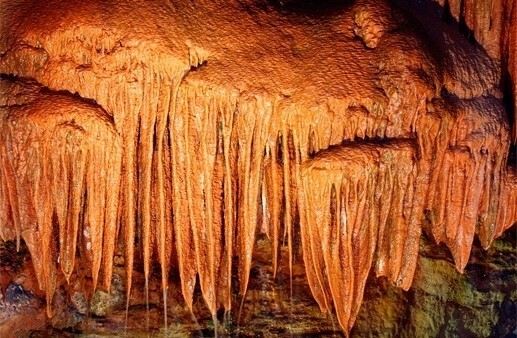 The cave features a variety of formations that include: soda straws and stalactites. The water is crystal clear allowing visitors to view formations at the bottom of the 55 feet deep underground lake.